Heartbroken over the death of her fiance, Ragweed, Poppy the deer mouse journeys west through the vast Dimwood Forest to bring the sad news to Ragweed's family. But Poppy and her prickly porcupine pal Ereth arrive only to discover that beavers have flooded the serene valley where Ragweed lived. 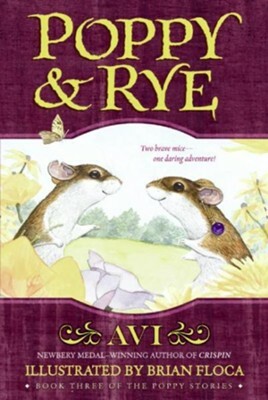 Together Poppy and Ragweed's brother Rye brave kidnapping, imprisonment, and a daring rescue to fight the beavers. At the same time, Rye—who has lived in Ragweed's shadow—fights to prove himself worthy of Poppy's love. I'm the author/artist and I want to review #3: Poppy & Rye.